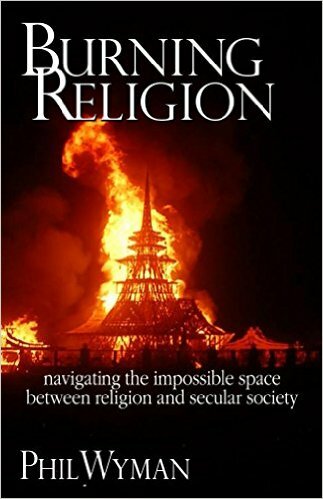 These chapters highlight the evil and the noble deeds of individuals in a variety of religious and non-religious systems. The cursory glance at history and events from different groups is meant to highlight that good and evil resides in every system. Secularism does not have the lead in either nobility or evil over religion. Do you agree, or disagree with this assessment? Why? Is there another way of looking at this issue? First, we must address the source of good and the source of evil. The Jewish answer to this issue is quite direct: as with all things, the source of good and the source of evil is G-d. The central tenet of Judaism, the Shema, declares that יי אחד (G-d is One). The Shema does not declare that G-d is The One; G-d is one, complete, whole. For Jews, G-d is everything, and everything exists because G-d exists. The human personality is the most complex model of reality possible; computers are fast, but dumb, lacking is so many human attributes. The Bible and the rabbis use human personality as their structure for seeing the universe. Of course, in their world, personality is present in us BECAUSE it is present in God first. We are created in God’s image, not the other way around. Personality precedes rationality, ontology, and all other categories. This gives us “personalist / anthropopathic theology” which is very different from intellectualist / philosophical theology. Take the issue of humor: Does God have a sense of humor? The answer is “yes.” How do we know? Because we have it, and we are created in God’s image. Is having a sense of humor good? Yes; computers don’t have it. Neither do psychopaths. They aren’t human; they are not fully in the image. There is evil in the world, just as there is good in the world, because everything exists in the world because G-d exists. Does this mean that the evil performed in the world is done by G-d? Is G-d the source of the evil which befalls us? No. While evil’s existence is due to G-d’s existence, evil is perpetrated by people. Rambam teaches that we perform three classes of evil. The first of these evils comes from our failure to recognize that all which has been brought into being must, naturally, pass away. “He who thinks that he can have flesh and bones,” Rambam points out, “without being subject to any external influence, or any of the accidents of matter, unconsciously wishes to reconcile two opposites, viz., to be at the same time subject and not subject to change” Guide for the Perplexed, pt.III, ch. XII). This contradiction blinds Man from his place in the natural world. When natural forces act against him, he blames some external, evil force determined to destroy him, rather than recognizing that life and death are both part of the natural world. The second class of evil is the evil we inflict on each other. “These evils are more numerous than those of the first kind,” Rambam tells us, “their causes are numerous and known; they likewise originate in ourselves, though the sufferer himself cannot avert them” (ibid, pt. III, ch. XII). “The third class of evils,” Rambam declares, “comprises those which everyone causes to himself by his own action. This is the largest class, and is far more numerous than the second class” (ibid, pt. III, ch. XII). This evil manifests when our desires go beyond what is necessary for life. When we begin to desire more than we need, we can never be satisfied. Consequently, in our futile attempt to sate these desires we, complain of the decrees and judgments of God; they begin to blame the time, and wonder at the want of justice in its changes . . . The idea of evil that appears in Judaism is the dialectical interaction of good and evil. While it would be easy to view good and evil as being in binary opposition, such as in the Zoroastrian tradition, Judaism recognizes that good and evil are not mutually exclusive. This goes further than just asserting evil’s necessity as opposition to good. An Aggadic (legendary) story in the Talmud (Yoma 69b) relates an instance of the rabbis capturing the Yetzer Har’a (the evil inclination). The rabbis are warned that destroying the Yetzer Har’a would bring about the destruction of the world. (Already we see the idea that evil is necessary). So, instead the rabbis trapped the inclination. Three days later they went out and could not find a single fresh egg in all the land. At this point the rabbis realize that without the Yetzer Har’a there would be no procreation. So here we have a good (both religiously and evolutionarily) that is predicated on an evil inclination, i.e. sexuality. As to evil : We have evil in us, both in the sense of impulsive evil and in the sense of compulsive evil. That means that God, too, must have evil in Godself; otherwise, we wouldn’t have it. Now that may sound heretical to most people and it is certainly contrary to Freud’s view that God is a projection of only the good in us. But, that IS the view of the rabbis — sometimes more clearly expressed, sometimes only implied, and sometimes just denied; but always present. Jewish mysticism says it most clearly. We don’t teach this openly because it is potentially very dangerous, but the teaching is there. And it should not be surprising: impulsive, and even compulsive, behavior is structural to human existence, i.e., to the way God created the world. Good and evil are the warp and woof of reality; they are not, as Aristotle and Maimonides claim, absences, or lapses, of good. We may not like this view — and there are deep reasons for that — but we would be better off realizing that God is “imperfect,” i.e., capable of some pretty strange things. What is the “potential danger” in teaching that evil exists in the world because of G-d? After all, aren’t we already practiced at “blaming” G-d for the bad things that happen to us? I believe the danger is when you have to accept that, since we are created in G-d’s image, if there is evil in G-d then there is evil in us. More specifically, that when evil is perpetrated, we are the source. In other words, we must not only accept responsibility for the evil performed in the world but also for our failure to resist it. It is one thing to force others to accept responsibility for their actions; it is quite another to take for responsibility for our inactions. So the answer to the question, “Where was G-d during the shoah,” is that G-d was present in the rescuers who saved thousands just as surely as G-d was present in the perpetrators who killed millions. I will, however, answer. G-d is the creator of evil as G-d is the source of all things, but it is humans who do evil in the world. More importantly, it is humans who allow evil to be done in the world. Of course, that is the place we end up with the paradoxical tension, but we still are left like Job shouting from the torment of our losses and boils, aren’t we. I do so appreciate the Jewish perspective of holding God on trial, while at the same time acknowledging that God’s probably got this thing right somehow. Oh, little pea-brain that I am.